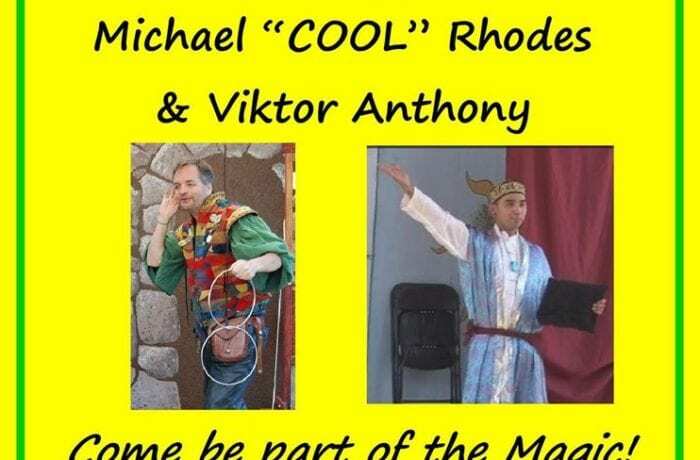 The Gypsy Magic Show Featuring Michael "COOL" Rhodes & Viktor Anthony will once again be part of the Koroneburgh Renaissance Festival in Corona, CA. May 27, 28 & 29 along with every weekend in June. The Gypsy Magic Show will be performing 3 times each day and it is a FREE show with admission to the festival.